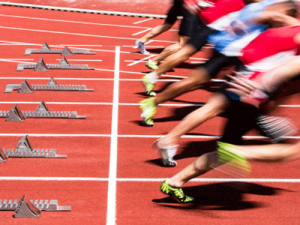 Often times being a part of a track team can be expensive and track team fundraisers are needed to help offset the cost of traveling, uniforms, competitions, spikes, and transportation costs. Finding the right fundraiser for your track team can be difficult, but look no further than Giving Bean! There are no startup costs, step by step instructions, fast shipping, and online support. Since most people drink coffee and tea daily this makes our products hard to resist. There is something for everyone to enjoy from freshly roasted coffee, to unique artisan teas, and all natural gourmet cocoas. With the traditional paper order form fundraiser you will earn 40% as well as 25% from online orders. Online fundraising is a great way for anyone who doesn’t live in the area to support your track team. We also offer free customized labels that will look great with your team’s logo on them. Giving Bean’s coffee fundraiser is the perfect fundraiser anytime or even several times a year!